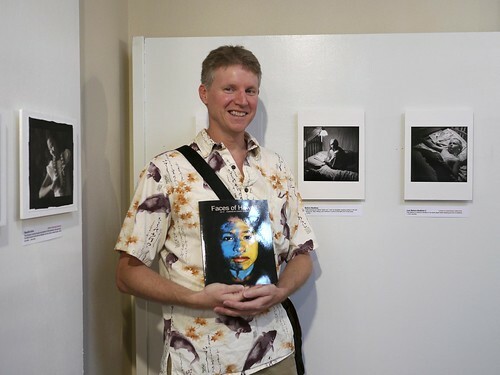 The opening reception for Faces of Hawaii 2011 was today at the Volcano Art Center Niaulani Campus in Volcano village. It was a beautiful day to drive up and enjoy the photographs, pizza, pupus and taiko drumming. I was pleasantly surprised to find that I had gotten a Juror’s Honorable Mention for Just Before Bedtime #2. I had one other print also in the show, Just Before Bedtime. Regular readers will recall these images from the blog. The juror’s choices also made it into a book. I bought a softcover copy, but I can’t recommend it: the text block was falling out by the time I reached home. I also felt that the color and B&W reproduction suffered in the book. 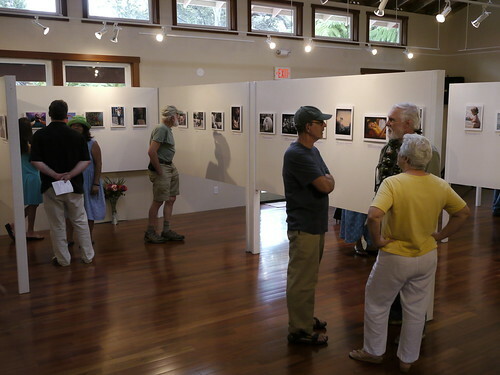 The images on the walls looked great, however, and the Volcano Art Center is a nice venue for the exhibition. Bravo, Eric! You deserve a broader fan following! Thank you, Sally. You are a good fan to have! Eric, the idea of a print swap is certainly appealing. The only problem is – I don’t print. I get all prints from a more or less standard lab, albeit one which offers color profiles and doesnt’ touch the appearance of the files sent in. Markus, I don’t think that would be a problem. Let me know if you want to do a swap! Eric, yes, I am interested! At the moment I am still at a conference in Debrecen, Hungary, but will follow up this next week. IIRC, the Book was the main highlight for entering the contest. So much for that given the account of poor quality. It’s a little bit of a letdown, yes. But the softcover was $15.00, meaning their cost was even less. I wonder where they got it printed. At that kind of cost, you are not going to get quality. I would have guessed Blurb, but my self-made Blurb books are much better quality than this. Not sure where they got it done. Late to the party….but congratulations, Eric! Well deserved I would say. I loved the “Just Before Bedtime” images. I remember those images and they are great! Congratulations, Eric!